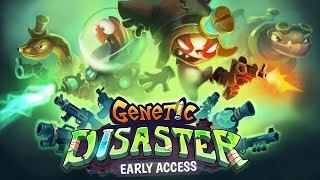 Genetic Disaster is a cooperative action game with an appealing accessibility. Play alone or team-up to 4 friends, on couch coop or through Internet, pick a character and try to run away from the mad mansion! Each of the 10 levels are procedurally generated. Hordes of enemies are waiting for you! Call your friends for help, but be careful, the mansion will adapt, for better or for worse. Upgrade your hero at each level, to create your own gameplay style or to combine them with those from your mates: Do you need a tank or a berserker? You are a member of an elite mercenary group. A mining colony of critical importance has become under attack by a hostile alien force. Armed to the teeth and equipped with your trusty laser-diggers, you must fight your way to the depths of the planet, find the source of the alien threat and eliminate it. Will you make it out alive? Gerty is a top-down rogue-lite twin-stick shooter with a fully destructible environment. Carve your own path through replayable procedurally generated levels and create tactically advantageous situations to eliminate the alien threat in intense, tough but fair, action-packed gameplay. Excavate Juice crystals to upgrade your gear, discover alien structures, and eliminate the source of the alien threat in singleplayer or local co-op mode. In Gerty, the player explores the caves of distant planets and fights for survival through the monster-filled levels. 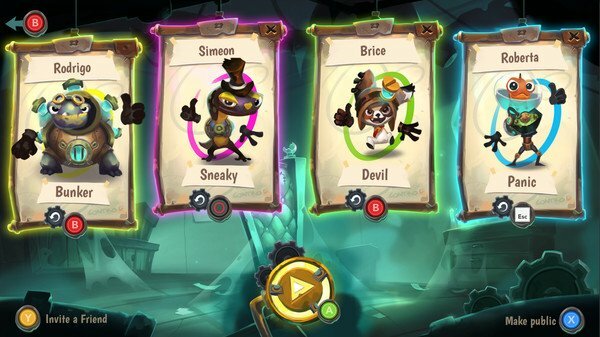 The goal of each level is to get to a hidden teleporter that'll lead the player to the next level. Distress is a roguelike game set in space where you jump from planet to planet trying to find the source of a distress signal.The game is very early in development, with only one simple type of planet being procedurally generated, and only one class to play with. In this version, the objective of the game is to find the exit and leave the planet.Our main objective, for now, is to find out if the gameplay works well, by being fun and challenging at the same time. First game of the indie Mexican software developer : IndieGen. DarkTactics is an Android Roguelike video game that combines games like "Dark Souls" and "Turn-Based Tactics games"
Cosmodog is a fast-paced, turn-based adventure game that can be downloaded for free under http://www.cosmodog.eu/cosmodog.html.Here are some screenshots Check out the trailerIn Cosmodog, you will find: Retro style visuals a la 8/16 bit A hand crafted sci-fi open world with enemies, collectibles, secrets, giant worms, labyrinths, teleports and vehicles. Many gadgets that increase your stats and unlock new areas of the game world A sci-fi narration with a broken AI as one of the protagonists. The game was developed in Java and can be played on Windows systems. It was tested on Windows 7 and Windows 10. You don't need anything to play the game. Just download and unzip the file and click cosmodog.exe.